As the 2018-19 NBA season chugs along through early 2019, the possible seeding for this season’s playoff action is starting to gain more attention. As of Jan. 21, here are the standings for both the Eastern and Western Conference. While the top half of both conferences are evenly matched, the real problem occurs when you get into seeds six and down. The Western conference is so competitive, that the fourteenth seed Memphis Grizzlies are only 13 games behind the reigning champs. Meanwhile, the Detroit Pistons are just one slot away from being a playoff team, and only have one more win than the Grizzlies, while stuck 13.5 games away from top-seeded Toronto. But the problem doesn’t stop there. In total, the Eastern Conference has seven teams all 13 games or more away from the number one spot, while the West only has one — Phoenix. 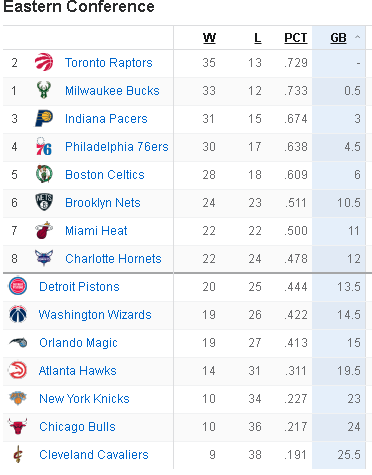 What’s worse is that the Nets, Heat, and Hornets would all be playoff teams if the postseason started today, while the Lakers, Timberwolves, Pelicans, and more wouldn’t be. Even though their records aren’t truly that different, it’s imperative to remember the conferences they are playing in. Because the East has a large number of lottery teams in the midst of rebuilding, that means the teams in the playoffs have spent all season playing lesser competition. In the West, however, those teams with only 20-25 wins got them while playing against squads that would almost always be a playoff contender in the East. Conferences aren’t completely useless, however. For instances like the All-Star Game, and just a general divide in the league that determines what teams will play each other the most, having two conferences allows for some fantastic organization. Once the postseason arrives, conferences should go out the window. It should only be the best teams that get a shot at taking home the Larry O’Brien Trophy, and right now that simply doesn’t happen. A common counterpoint is how many miles each team would have to travel, especially if you had East and West teams going head-to-head in the opening rounds that went six or seven games. That’s why the NBA should also consider changing the formatting of every round to be identical with how the Finals were during the David Stern era. Changing the schedule to 2-3-2 instead of the current 2-2-1-1-1 minimizes cross-country travel. The reason why the 2-3-2 design was originally eradicated back in 2013 is that owners felt it rewarded the lesser team since the lower seed had the privilege of three-straight home games. If owners around the league would rather leave the format unchanged, then there should at least be an extra day of rest added during Game 6 and Game 7 to counter fatigue caused by an excessive amount of time spent traveling back and forth. Most recently, the Golden State Warriors swept LeBron James and the Cleveland Cavaliers in the 2018 NBA Finals. 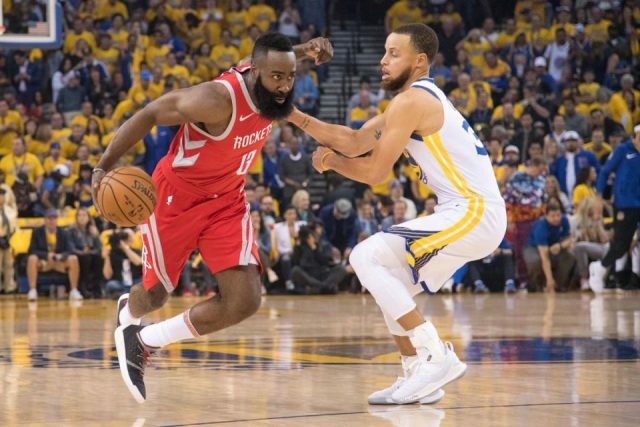 But just one round prior during the Western Conference Finals, the Houston Rockets forced a game seven in a fantastic series that ultimately allowed Stephen Curry and co. to capture their fourth consecutive Western Conference Championship. Even still, that series was more competitive, entertaining, and deserving of a Finals status compared to Cleveland’s unworthy showing.